In this tutorial, we are going to build an LED Scroll Bar as shown in the image given below. The project is designed to flash Ten LED strips ( by giving different lighting patterns for each strip) with the help of a control board. We have created a simple GIF animation of the project to give you a good idea of what we are going to build. So here take a look at the animation of working model of LED Scroll Bar using strips. So this is what we are going to build! And lets begin to learn – How to make an LED Scroll Bar. Components are explained in images given below. How to Make LED Scroll Bar? Cut the LEDstrip into 10pieces with each LED arbitrary number.Then, weld the traverse at an interface of the LED strip. Here I prefer using Dupont line to connect. Make a control board. 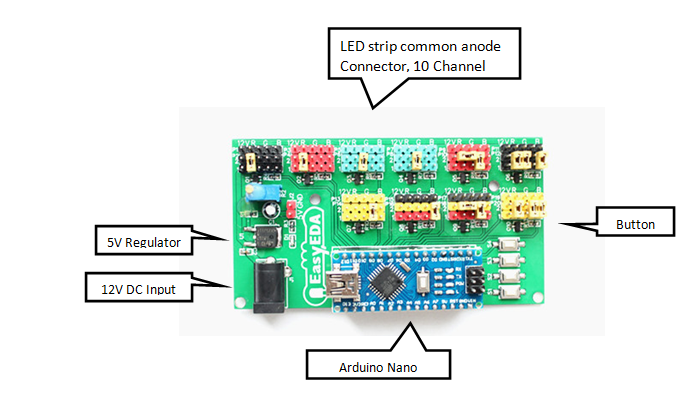 A control board is the pattern to control the flash of the LED strips. 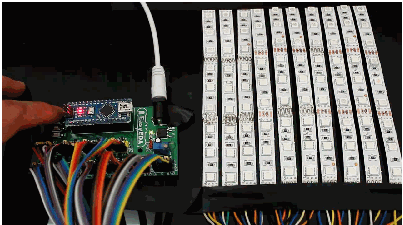 Aided by Arduino Nano and equipped with a keypad, we can control the LED strip to display different pattern. 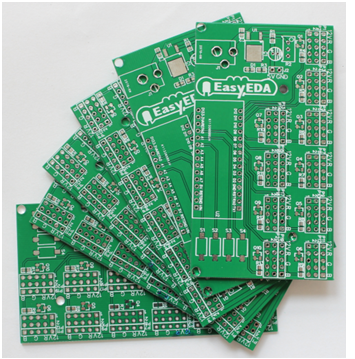 Use a free tool likeÂ EasyEDA, – whichÂ is a free EDA tool suite. 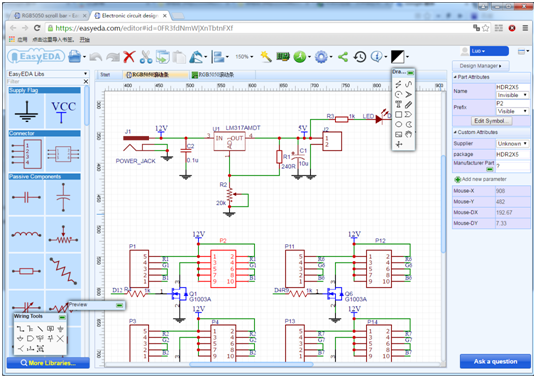 It includes Schematic Editor, PCB layout, it has integrated a large number of component libraries, so you can feel easy to find the desired parts. The Schematic is shown in the picture below. 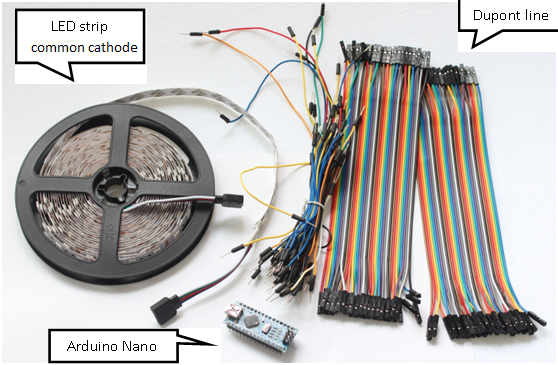 Notes: The voltage of the LED strip is 12 V with Nano 5V. Please remember to add a power regulator such as AMS1117-5.0. 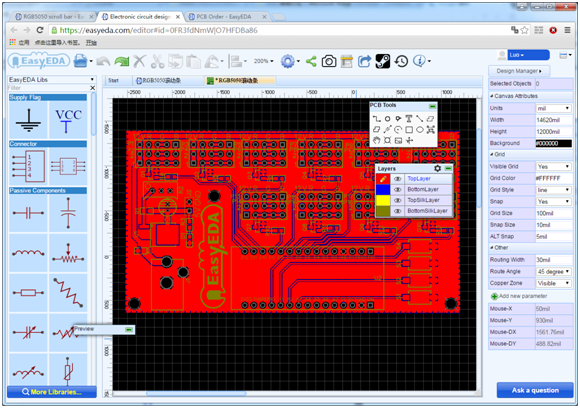 After finishing the PCB design, you can click the icon of Fabrication outputÂ above. Then you will come into the page of download gerber files and make sample. 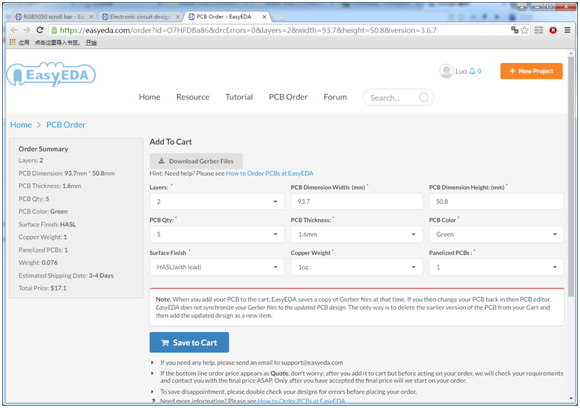 You are required to fill in some information such as PCB Thickness,Color, QtyÂ of the plate. It is very easy to make a control board. Just as the following picture describes, solder the components perfectly. Connect the LED strip into the control board and at the same time please pay attention to the positive and negative of the terminals. Connect it to a 12 V power supply, upload the program onto Â Arduino Nano and run it.Press the button to switch flashes. So that’s it! We are done. You can try changing the program to change patterns and flash the led strip the way you like it!